The size of Kepler-186f is known to be less than ten percent larger than Earth, but its mass, composition and density are not known. 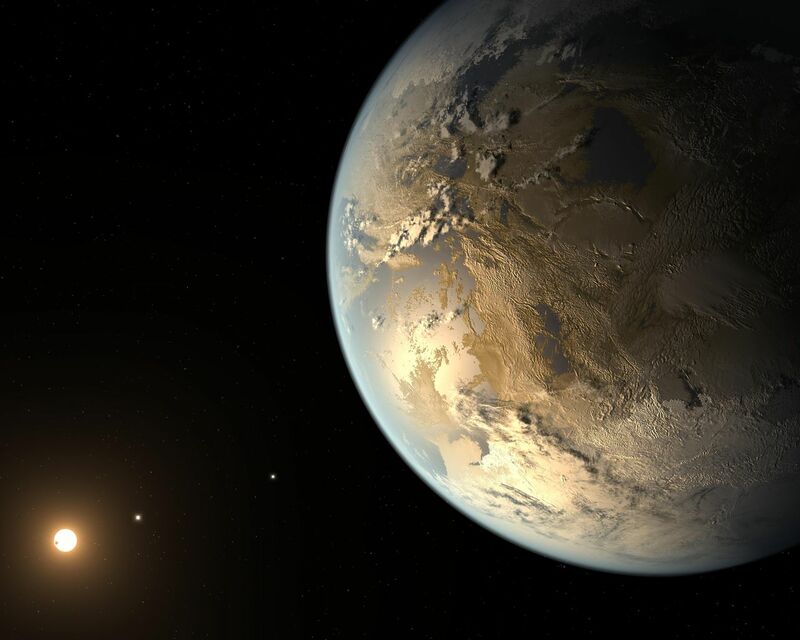 Previous research suggests that a planet the size of Kepler-186f is likely to be rocky. Prior to this discovery, the "record holder" for the most "Earth-like" planet went to Kepler-62f, which is 40 percent larger than the size of Earth and orbits in its star's habitable zone. 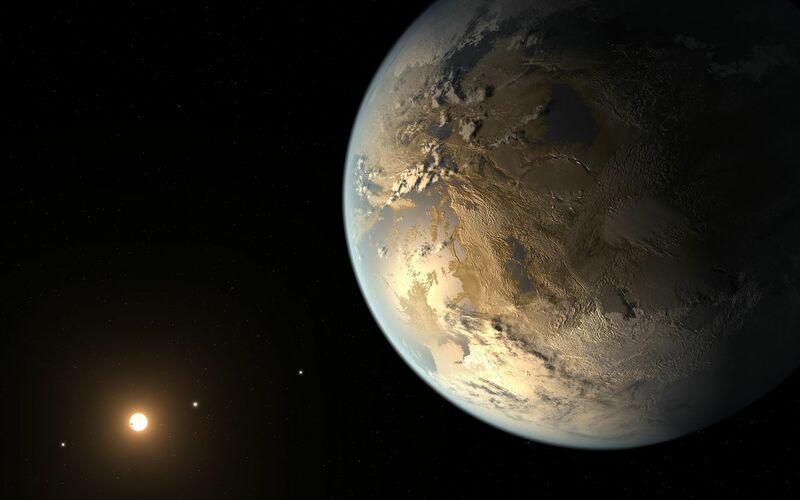 Kepler-186f orbits its star once every 130 days and receives one-third the energy that Earth does from the sun, placing it near the outer edge of the habitable zone. If you could stand on the surface of Kepler-186f, the brightness of its star at high noon would appear as bright as our sun is about an hour before sunset on Earth. Kepler-186f resides in the Kepler-186 system about 500 light-years from Earth in the constellation Cygnus. The system is also home to four inner planets, seen lined up in orbit around a host star that is half the size and mass of the sun. The artistic concept of Kepler-186f is the result of scientists and artists collaborating to imagine the appearance of these distant worlds. NASA Ames manages Kepler's ground system development, mission operations and science data analysis. NASA's Jet Propulsion Laboratory in Pasadena, Calif., managed Kepler mission development. Ball Aerospace & Technologies Corp. in Boulder, Colo., developed the Kepler flight system and supports mission operations with JPL at the Laboratory for Atmospheric and Space Physics at the University of Colorado in Boulder. The Space Telescope Science Institute in Baltimore archives, hosts and distributes the Kepler science data. Kepler is NASA's 10th Discovery Mission and is funded by NASA's Science Mission Directorate at the agency's headquarters in Washington. More information about the Kepler mission is at http://www.nasa.gov/kepler.